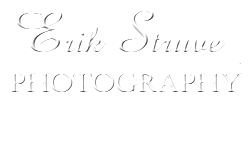 Erik Struve has spent most of his photographic career creating striking and eye-catching portraits that are reminiscent of Hollywood’s golden age of the 1930s and 1940s. Mr. Struve tries to stay true to the spectacular imagery created by some of the most famous Hollywood photographers such as George Hurrell or Clarence Sinclair Bull. Mr. Struve utilizes both film and digital media to meet his clients’ needs. Mr. Struve’s clients range from the “girl next door” who desires to be as glamorous as Greta Garbo or Jane Russell to actors and actresses on stage and in film.